Aleksandar Peri�i? 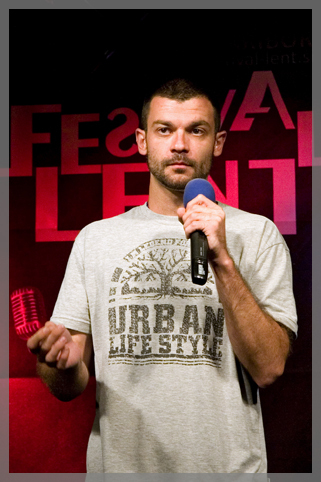 was born in 1982 in Kraljevo, Serbia without any other sense, except the one for humor. He graduated from High school with honors and soon after the Law School. He is a child of parents intellectuals although they themselves say that they found him somewhere on the road. By nationality he is tolerant. He collects numbers of police badges from all the cops that he stopped him (and he holds the Guiness record in such).